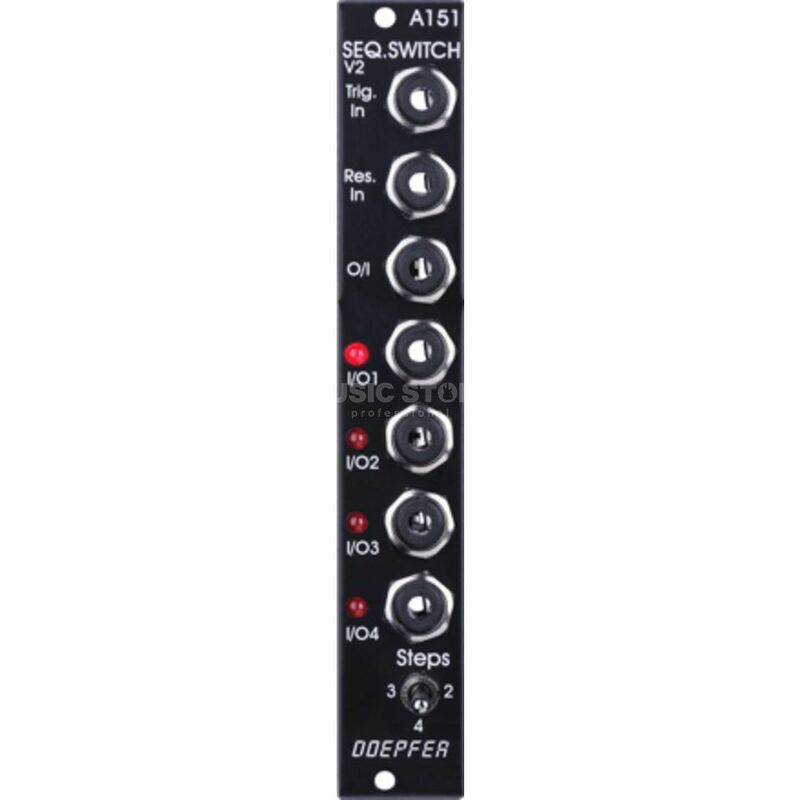 Deopfer A-151V Quad Sequential Switch is a logic module for modular synthesizers in Eurorack format. The vintage version of the module has a trigger input, a reset input, four inputs/outputs and a common output/input. Voltages in the range of -8V to +8V can be processed at the I/O or O/I connections. The module works bidirectionally, i.e. inputs and outputs are interchangeable. With each pulse at the trigger input, the common output/ input is switched to the next input/output. A positive pulse at the reset input switches the common output/output to the first input/output. Four LEDs indicate the active input/output (i.e. the input/output connected to the common output/input).